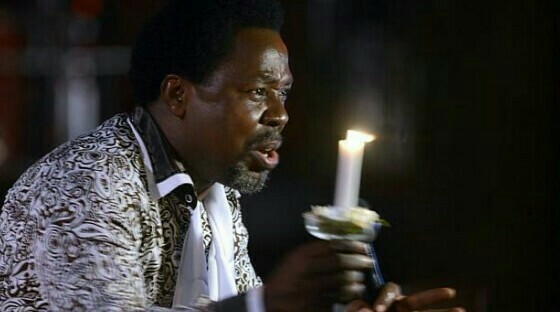 The Oodua People’s Congress (OPC) has called on the founder of the Synagogue Church of All Nations (SCOAN), Prophet Temitope Balogun Joshua not to leave Nigeria for Israel. The group’s request is coming on the heels of Joshua’s recent revelations that he was planning to relocate out of the country. The founder and the president of OPC who is also the National Chairman of the Unity Party of Nigeria (UPN), Dr. Frederick Fasheun in a press conference in Lagos appealed to Joshua to stay and continue his ministry in the country. The cleric had announced last week that he was leaving Nigeria for Israel where he had been provided with land, a building and other facilities. “TB Joshua intends relocating perceivably in order to escape persecution at home, founded SCOAN which commands up to two million local and international tourists annually,” Fasheun said. He charged the federal and Lagos State governments to immediately stop the ongoing judicial persecution of Prophet T.B. Joshua. He however, commended the Minister of Information and Culture, Alhaji Lai Mohammed who urged Pastor T.B. Joshua to shelve his decision to relocate to Israel. Fasheun also suggested that a road should be constructed to link the Synagogue Church with the international airport and regular electricity should be made available where the Church is located in the Ikotun area of Lagos, with maximum security guaranteed to the life and property of Church goers and residents. He called on Nigerians to do everything possible to ensure that the international preacher and televangelist rescinds the decision and remains at home to operate his divine calling. The elder statesman also urged the Pentecostal Fellowship of Nigeria (PFN) and the Christian Association of Nigeria (CAN) to give Joshua a hand of fellowship by according him a befitting role as a model and mentor to young and upcoming clerics who would be trained to imbibe his spirit of humility and selfless service to God and man. He pointed out that Joshua’s exit would be one brain-drain incident too many and a tragedy of no mean proportion, as well as a national embarrassment if such personality went on self-exile from his Fatherland. “Nigeria stands to lose several positive dividends currently bestowed by SCOAN on not just Ikotun, Lagos, but also on the entire country; we shall be losing a giant intercessor, whose prayers are helping to sustain the peace and sanity of this country. “We shall be losing Prophet Joshua and SCOAN’s donations, charities and philanthropy worth no less than N8 billion in scholarships, disaster relief, house rent support, sports and sportsmen sponsorship and others,” he added.